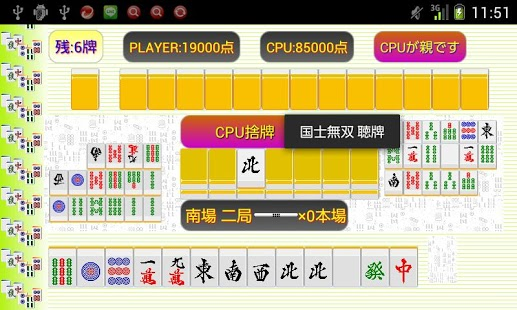 Precisely because a one-to-one specification, I realized On this occasion the role Yakuman not quite see you everyday! Some pop, some cans, is also Furitenron? 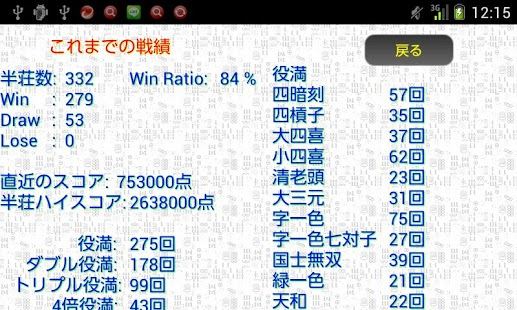 Not a dream Yakuman double, even triple Yakuman! Even heaven’s blessing. . . Cheating is not there at all. Tiles to be used in normal mode bamboo 1-9, Man 1.9, Pins 1.9, 20 kinds of character tiles (white, Red, Green, west, north, south, east). I use a total of four copies each of 80 sheets. Tiles to be used in bamboo demon mode 1.9, Man 1.9, Pins 1.9, 13 kinds of character tiles (white, Red,Green, north, south, east, west). I use a total of 78 pieces of each six each. 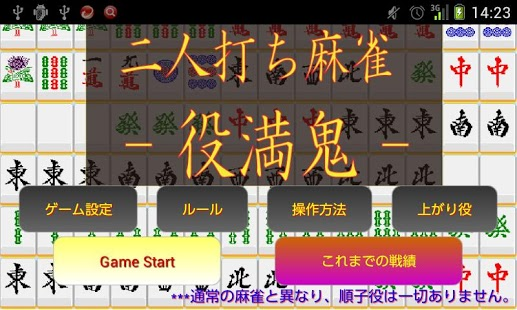 Unlike normal Mahjong, child actor does not have any order, You do not need to think hard. ■ less than five times the dream role? Yakuman is five times with joy, large four-single horseman all symbols hidden treasure. Come dream world, please try to experience.